Where can you find Lincoln near you? Do you see Lincoln in a statue or a plaque? Is a business or school in your area named for Lincoln? Or does the spirit of Lincoln live on in the actions of people in your community? Submit a photo, including a description of what it shows and how it relates to Lincoln. Once approved, your contribution will appear in the public gallery! The five best Lincoln photos will win the grand prize. Read all contest rules below before entering. Join the LOOKING FOR LINCOLN Flickr group. Upload your Lincoln photo to your Flickr account. Tag the photo with the tag “lincoln”. Add your photo to the LOOKING FOR LINCOLN Flickr group to complete your entry and share it with Lincoln fans everywhere. (How do I do this?) The photo must be added to our Flickr group in order to be considered. Limit: three photos per person. Important: Be sure to check the email account you used to sign up for Flickr! If we select your photo, we will contact you through Flickr. Make sure you follow these steps carefully, or your photo may be disqualified. 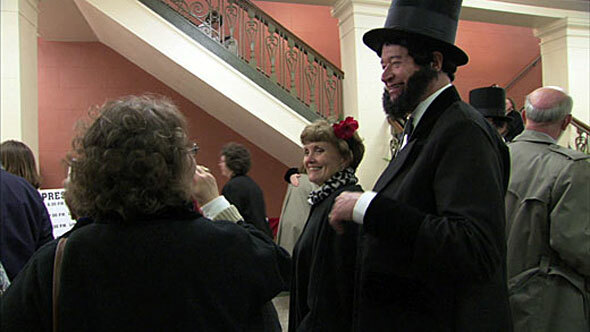 The producers of LOOKING FOR LINCOLN will judge the entries and select five winners. The five winning photos will receive a copy of the program’s companion book, Looking for Lincoln: The Making of an American Icon by Philip B. Kunhardt III, Peter W. Kunhardt and Peter W. Kunhardt, Jr. The book contains more than 900 images, many from the renowned Meserve-Kunhardt Collection. The five winning photos will be featured in a Contest Winners gallery on the LOOKING FOR LINCOLN Web site. Adding your photo to the LOOKING FOR LINCOLN Flickr group with the tag “lincoln” constitutes entry into the contest. By entering the contest you indicate your agreement to the following terms. You must be the creator of any image you submit, and you must not submit any image for which the copyright is held by another party. Contest entry is limited to three photos per person. 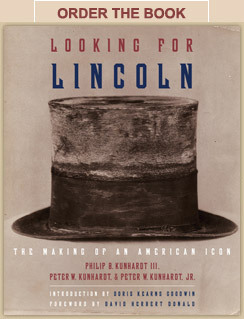 Regardless of any license settings on your photo, you give permission to PBS and WNET.ORG to publish the submitted image, your first name, and your location on the LOOKING FOR LINCOLN Web site at https://www.pbs.org/wnet/lookingforlincoln/ in perpetuity. Employees of PBS and WNET.ORG, and their families, are not eligible to participate. In the event that your photo is selected for our slideshow, you agree to be contacted through Flickr mail. If you are contacted by the contest administrator, you agree to respond within 72 hours. If you fail to respond within 72 hours of being contacted, your photo will be disqualified. In addition to the above, you agree to abide by all Flickr site guidelines.